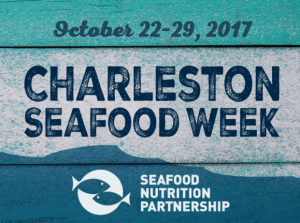 Join us for our 3rd Annual Charleston Seafood Week from October 22-29, 2017. Restaurants around the city will help our Seafood Nutrition Partnership Charleston campaign and encourage more people to eat more fish more often. Every year for eight days in October, we celebrate seafood and its beneficial health qualities and highlight the variety and quality of fish and shellfish available in Charleston, West Virginia. This year’s event is going to be bigger and better than before. It’s all about variety, so browse the participating restaurants, explore their menus, book your reservations and make sure to take the Healthy Heart Pledge! Please use #Seafood2xWkCRW for all you social posts.